Film Annex continues the redesign of its platform. After the photo galleries and the upload system, this is now the Revenue page that gets a brand new look, for an easier and quicker look at your available revenues. You can now directly and at all time visualize how much Bitcoin are available for you to spend on the shop. 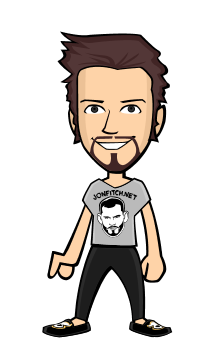 The amount is displayed at the top right of the menu bar, next to your avatar's face. One click on that amount will take you to your Revenue page. It is also accessible through the main menu (wheel icon) under "My Revenues." The first line, "Shop Credit," shows the amount of Bitcoin available for purchase on our marketplace. Simply click on "Shop Now!" 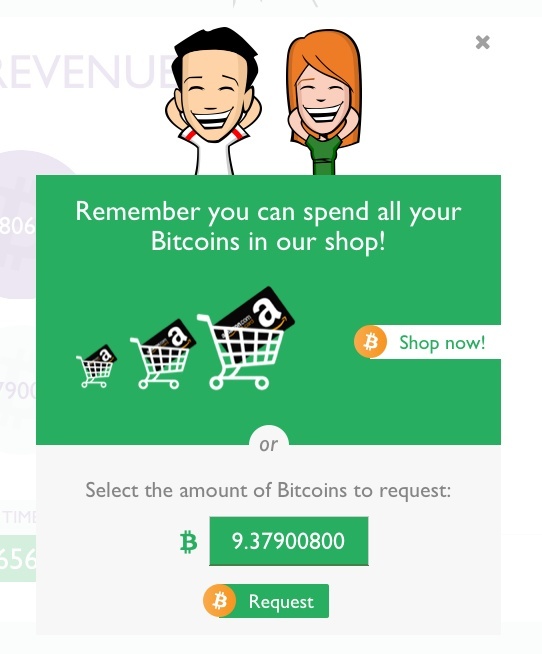 to access the shop and spend your Bitcoin. NEW! It now includes the earnings from the current month (both from your BuzzScore and from your referral revenue). 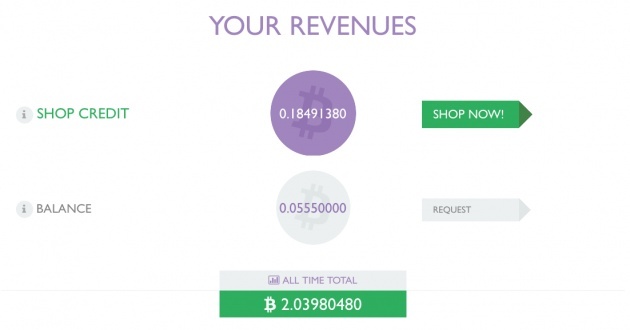 The second line, "Balance," displays the amount of Bitcoin that you can request. A click on "Request" will guide you through the payment process. Reminder: The revenues are due 75 days after they have been earned and must exceed BTC 0.2. Once a payment has been requested, the amount will be instantly deducted from both the shop credit and the balance credit. The balance credit will usually go to 0 unless you request a partial payment. "All Time Total" shows the amount of Bitcoin earned since you have joined Film Annex. Wallet Movements: earnings that can be requested, with their status. Use the comment section below if you have any question! Start spending your Bitcoin! This is a huge improvement. Now thinking in Bitcoin!